The bear population in the Central Pyrenees reached a record 39 animals in 2016, including 10 new cubs. The figures, which are the highest since bears were reintroduced, has been welcomed by animal conservationists but farmers have expressed concerns. According to the Association Pays de l'Ours - Adet, responsible for the reintroduction of bears into the region, these latest figures represent a lesson in how to successfully cultivate a wild bear population. 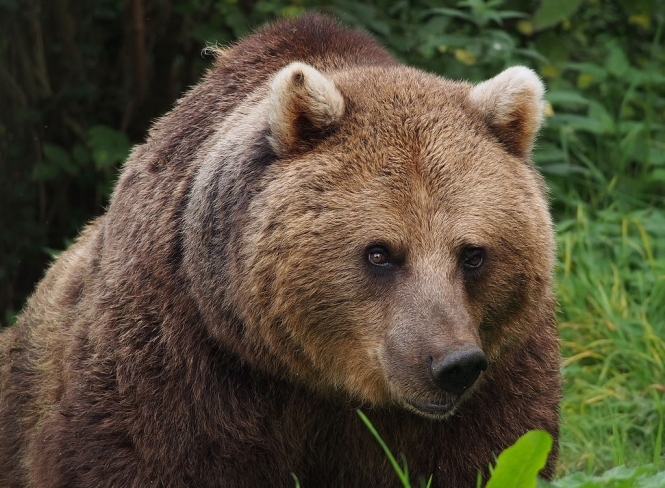 Its president, Alain Reynes, said: "It proves what we've always said: the Pyrenees is a good habitat for bears, the reintroduced bears are well adapted to life there, and that it is possible for sheep farmers and bears to live alongside each other. The target of establishing a self-sufficient breeding colony is within our grasp. We just need to release a few more unrelated females, to avoid interbreeding." Pyreneen sheep farmers, however, are not as convinced of this happy cohabitation. They continue to decry attacks on their animals, which they say can result in losing up to 10% of the herd. According to Bruno Besche-Commenge, spokesperson of the Association for the Sustainable development of the identity of the Pyrenees (ADDIP), the impact also affects birth rates, down an estimated 25% in those summer pastures monitored. Last October, 70 sheep breeders of the Pyrenees demonstrated in Saint-Béat (Haute-Garonne) to highlight the attacks on herds, committed according to them by a bear called Goiat, released in Spain. The reintroduction of bears into the French wild is a sensitive issue that reaches beyond just the sheep farmers and bear breeders involved. On March 8, 6,000 people took part in a public consultation about the government’s 10-year bear conservation plan. Results of this consultation will result in a report presented to the Minister of the Environment Ségolène Royal and could lead to an emergency release of females in the Pyrenees (which she opposed in 2014). Brown bears roamed the Pyrenees until the 20th century, when they were progressively wiped out. By 1970, when it became clear that wild bears were set to become extinct in France, the government was stirred to action but by the time a plan was evolved in the 1980s, it was too late. The last bear disappeared from the central Pyrenees in the early 1990s. In 2005, more bears were introduced from Slovenia and gradually they have established a population. However, this brown bear population is still not considered viable and the species has been classified as endangered in France since 2009. Walkers are highly unlikely to meet a bear in the Pyrenees, however; they are mainly nocturnal and avoid human contact if at all possible. If you do have the luck to spot one, do not attempt to approach or track it. Keep dogs at heel and move slowly away. Never ever run.